Whether you ‘re looking to send something special to someone you care about or just plain love fruit, our all-new Love Bouquet is a perfect choice for any fruit lover. 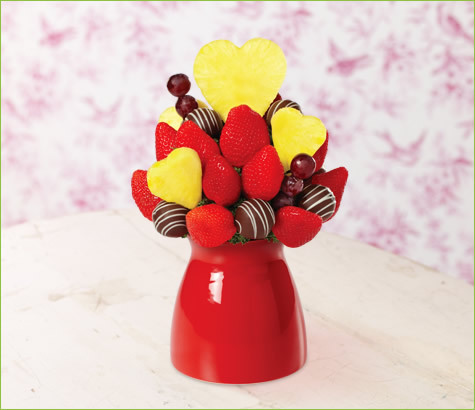 This personal-sized fruit bouquet features small and large pineapple-shaped hearts, apple fruit truffles with swizzle, ripe strawberries and juicy plump grapes. We’re pretty positive that whether you gift this arrangement or receive it you’ll be feeling the love in every bite! Container may vary.